Also, could you maybe tell me how to delete the malware entries in msconfig / systemstartup? They are deactivated but still there. Would be nicer without them. Thanks a lot! I tried that. When I start the installer it tells me "it's already installed":..
Well, I deinstalled and reinstalling it now and it seems to be working now. So thanks a ton again for your help. Couldn't've done without you. Could you please answer three final questions? 1. Can you tell me how I got potentially infected? Was it maybe because I downgraded from framework 4.0 to 3.5? I wanted to play LA Noire which only supports 3.5. 3. Is my system clean now? 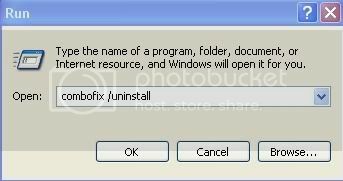 Did you uninstall it first?? Yeah, Charlie. It's working now. Thanks a lot. Only the three questions above are still boggling my mind. Oh, I'm not going away. What's next, just tell me. Thanks for the info. OK...personally I would say your computer is safe if that helps! Thanks a ton Charlie! I donated you some dollars as thank you! You really helped me a lot and saved me a lot of trouble not going through a format c:/.